‘SUNRISE’ name is well known for its shining & spectrum the raise in whole world. 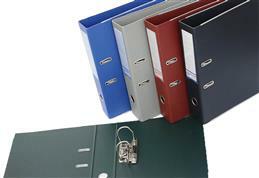 It is a universal truth, similarly ‘Sunrise’ Files & Folders are well known for its quality & durability through out in India since 46 years. Sunrise Files are of different varieties & three four qualities are made only by us in India & till have monopoly in finishing, workmanship & durability. such as : Brifo document files, Four-Three-Two in one files, special conference folders Granite ‘D’ clip Files & Cobra Files, No. 2000 Extra thick standing flat files. etc. etc. our regular items also are of best in market. All corporate offices, colleges, Hospitals, small & big entrepreneurs likes & feel proud to have the Sunrise Files in their offices. One who used ‘Sunrise’ Files, will never think to go for other products. 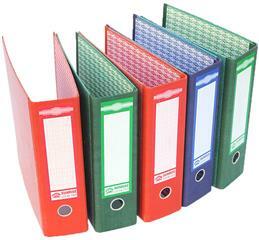 Sunrise Files can be supply with your company’s Logo & Name with a specify quantity. ‘Sunrise’ is also known for its timely Delivery schedule. 'Sunrise' Trademark is our registered Logo & known for its Genuine & Guaranteed Quality. For your specify requirement, we can also serve you. Straw Boards : Well compressed Straw Board. 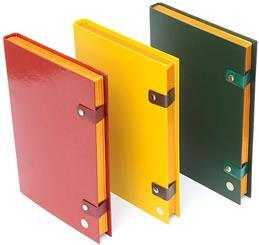 Binding Cloth : Superior Binding Cloth. Glue : Synthetic Glue & Fevicol. 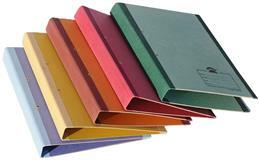 Cards : Imported & Best Card Sheet of Standard Paper Mill. I-lets : Well Golden Polished I-lets. (C) Thumb Ring, Rivets, Corners well Nickeled Policed. Packing : 5 Ply carton made from vergin Craft. 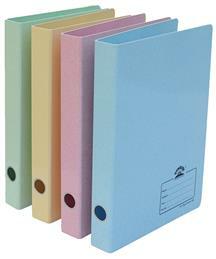 (A) Standard & Accurate size of New Cartons for packing of files. (B) 70/80 GSM white imported craft use for files packing. (C) Sunrise Printed well gummed Tape are used for packing of files. (D) Screen Printing on files / Offset Multi colour printing.